Gaul was divided into three parts. No, four parts – for one small village of indomitable Gauls still held out against the Roman invaders. BOOK 14 When the Romans take Chief Huevos y Bacon’s son hostage, they get more than they bargained for. Little Pepe proves a terrible handful. 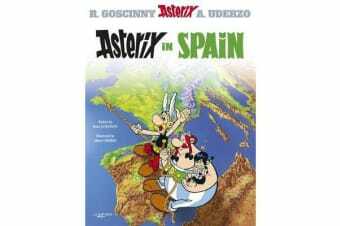 Asterix and Obelix rescue him and set out to return him to his father.